✅ Trip Verified | Fantastic flight overall, i like it as it's a nonstop flight (14 hours and 30 mins). The flight leave on time, i have attentive & great cabin crew with outstanding service. 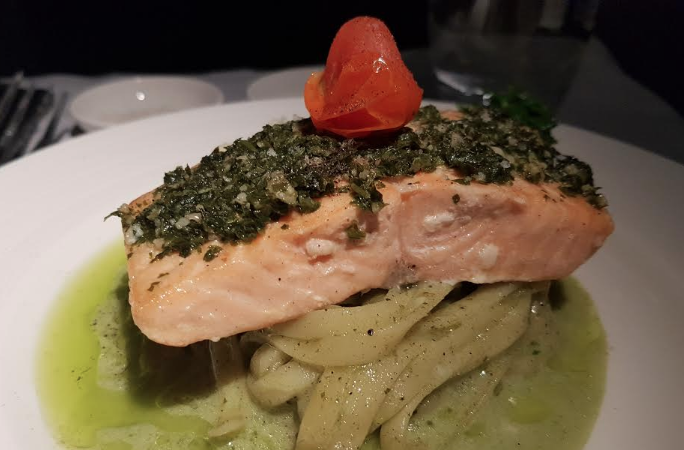 I am very impressed with the quality of the food on board, it's really 5 stars dining quality, and the chef on board was very friendly and made time to talk to passengers. IFE does not have comprehensive selection like SQ or Emirates, but's it's decent selections of latest movies and tv shows. Overall i am very happy with Garuda in Biz Class and will choose GA on this route. "too late and tired to complain"
✅ Trip Verified | Singapore to Bali. We were diverted to land at some kind of cargo depot and had a long wait on the tarmac for a bus that took us to luggage reclaim back door. Hall was disorganised with wrong carousel number displayed. Very rough chutes eventually delivered new luggage that had been smashed. We were too late and tired to find an office to complain but told a supervisor and emailed them following day. They replied with another email address to contact. The new email address replied with a "you're too late response"
✅ Trip Verified | Pontianak to Jakarta. 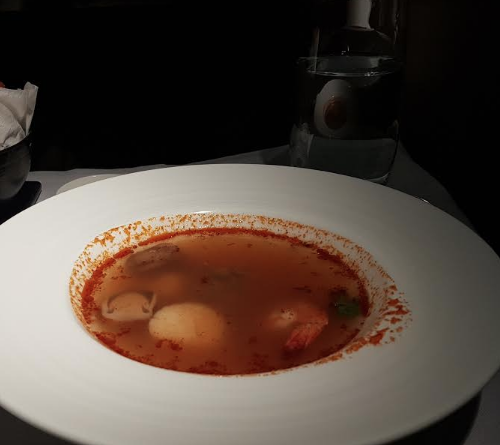 Garuda Indonesia overall is good, but the food really needs improvement because it is not good. The cabin staff is so awesome and great, they are totally sincere and care..
✅ Trip Verified | Flew on the GA0862 Jakarta to Sorong. The check in process was very fast as there were little people around at 21:00pm. Upon entering the lounge I noticed that Garuda has re-arranged the domestic lounge to provide more seating area. This is a very positive step and does give more seating area. The lounge itself was also very quiet due to the late evening. The gate for boarding the flight is a good 15 minute walk from the lounge, however not too bad as there was little people around. The gate check in process was ok given that the flight was full. I was lucky that I was in the emergency exist row as this give me extra leg room. The flight time is 3 hours and 45 minutes and an overnight flight. The flight itself was ok and the cabin crew tried their best to serve the passengers, as I stated above, the flight was full. Overall the service from check in to landing in Sorong was good. ✅ Trip Verified | Flew from Tokyo Haneda to Jakarta on the GA0875 11:45am. 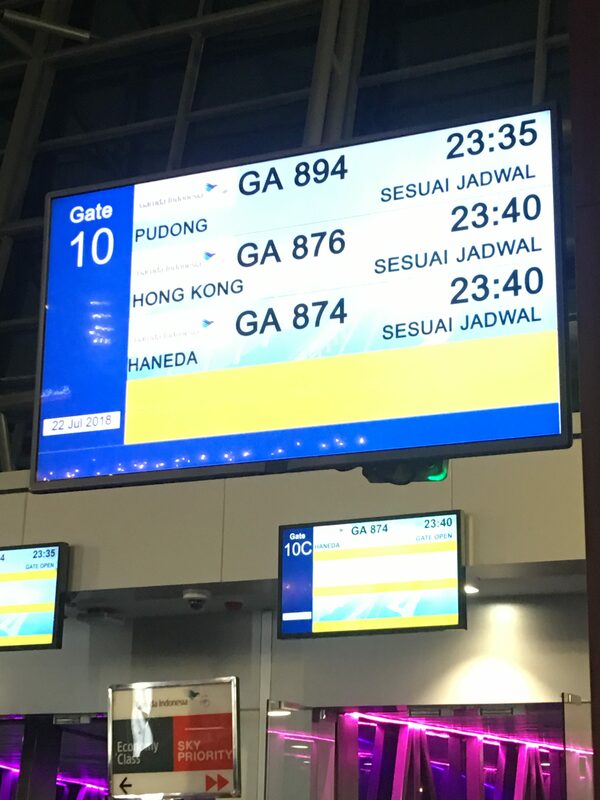 Garuda Indonesia. The check in area was quite busy, however check in process for First and Business class were moving quite quickly. I was assisted by the Garuda Ground Support team through security and immigration. I was then taken directly to the TIHT lounge which Garuda uses at Haneda. The lounge itself is quite good and has good views of the airport apron. It is a self service lounge, however there were sufficient snacks and drinks available. The plane pulled away from the gate a little ahead of schedule. 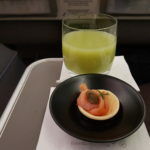 After take off the cabin crew came around to start taking orders for drinks and meals. 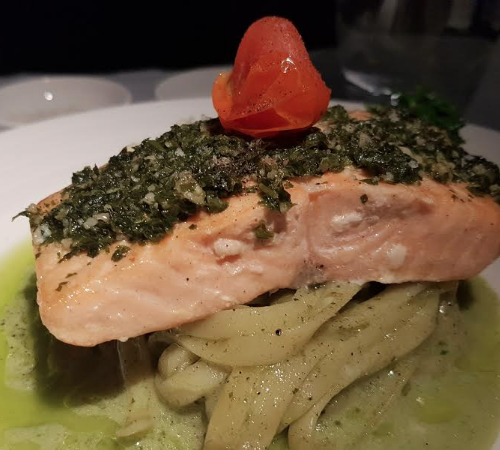 There was a choice of 3 main course meals and I chose the baked salmon, which was very well presented and tasted very good. Cabin Crew kept coming around offering snacks and drinks through out the flight. There was free Wi Fi service onboard and connection was very good with good download speeds. When we landed in Jakarta Garuda had their ground support team assist me through immigration and collected my luggage and I was on my way home within 30 minutes of arrival. Overall great trip and with great Cabin Crew and Ground support team. 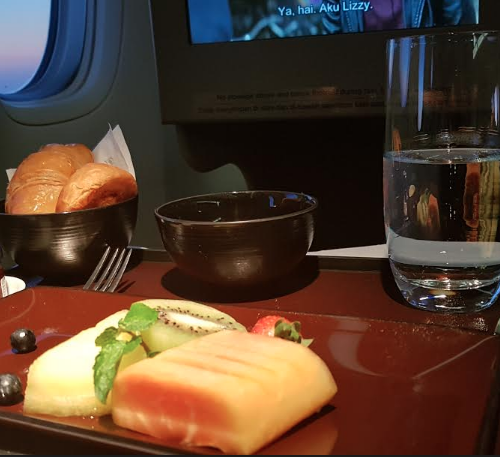 "First Class service at its best"
✅ Trip Verified | Flew Jakarta to Haneda, Tokyo on the over night flight. Garuda Indonesia had arranged for a car to pick me up from my home and when we arrived at the airport there was Garuda Ground Support team waiting to meet and assist me with check in, through security and immigration. This was a seamless process and I was then taken directly to the lounge. Service is the lounge was very good as they had a good selection of food and drinks to chose from. When it was time to board I again had the ground support team assist me all the way to the Plane door. The flight pulled away from the gate on time. I stated I wanted to get some sleep and would have something to eat prior to landing on Haneda. The Cabin Crew prepared my bed and woke me 1.5 hours prior to arrival in Haneda to serve my pre-ordered breakfast. The breakfast and presentation was excellent and the cabin crew coming back offering more food and drinks. When we landed in Haneda airport Garuda had their local ground support assist me through immigration and collected my luggage. There was free Wi Fi service onboard, although I only used it for a short time the connection was very good with good load speeds. 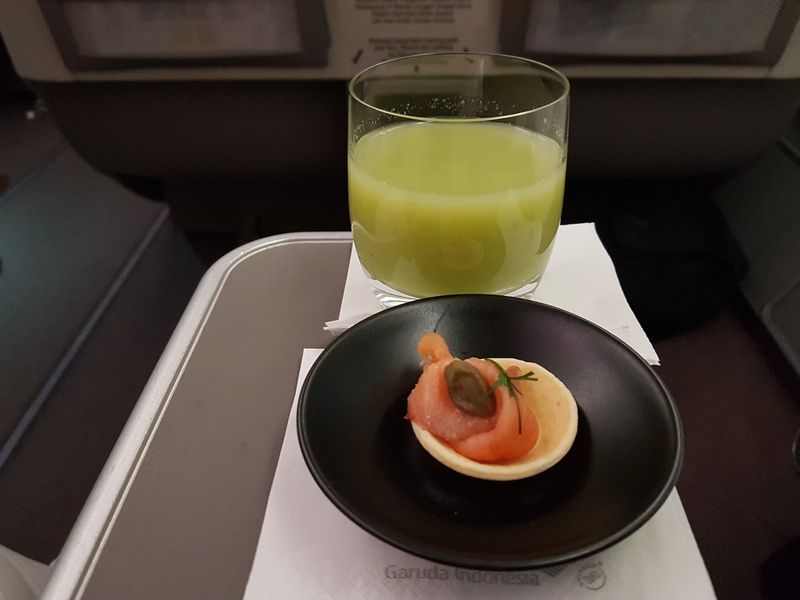 From the time I was picked up from my home to check in, boarding and getting through immigration in Haneda, Garuda Indonesia provided an excellent service. This was First Class service at its best. ✅ Trip Verified | Flew on the 07:25am GA823 from Singapore to Jakarta. The check in experience was good considering that the area was busy even early morning. 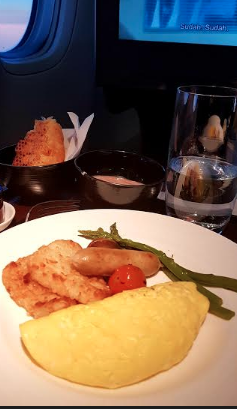 The lounge that Garuda Indonesia uses is the Dnata lounge which is very good and it has a good selection of snacks and drinks. 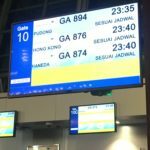 The Garuda Singapore support staff assisted me going through security and boarding as the plane was parked in a remote stand at the airport, however the process was fast and efficient. The onboard cabin crew were excellent and presented 3 selections of breakfast meals. The meal I chose was well presented and also tasted very good. We arrived in Jakarta on schedule and I was met by a member of the Garuda ground staff would assisted me getting through immigration fast track and also in obtaining my luggage. The overall service provided was excellent from check-in to collecting my luggage in Jakarta. The Garuda team both on the ground and in the air on this Singapore to Jakarta sector exceeded expectations. ✅ Trip Verified | Melbourne to Jakarta. 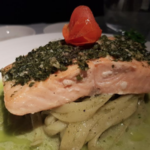 Great food and very attentive cabin crew. Garuda clearly recruits it staff with a strong focus having the right attitude for delivering top quality customer service. The warm beef sandwich was one of the best pre-landing snacks I have every eaten on a plane. ✅ Trip Verified | Jakarta to Amsterdam. A long 14 hour flight, but comfortable sleeper beds and very attentive cabin crew. My only criticism was that two of the main menu choices were unavailable (salmon & chicken), which was very disappointing. ✅ Trip Verified | Singapore to Jakarta. Older style aircraft in need of modernisation, small toilet and my seat was broken and would not recline. The cabin crew were attentive and the food served was tasty and hot.